There is a first time for everything and this week we get our first saxophone performance with the talented Matt Littlewood, originally from the UK. 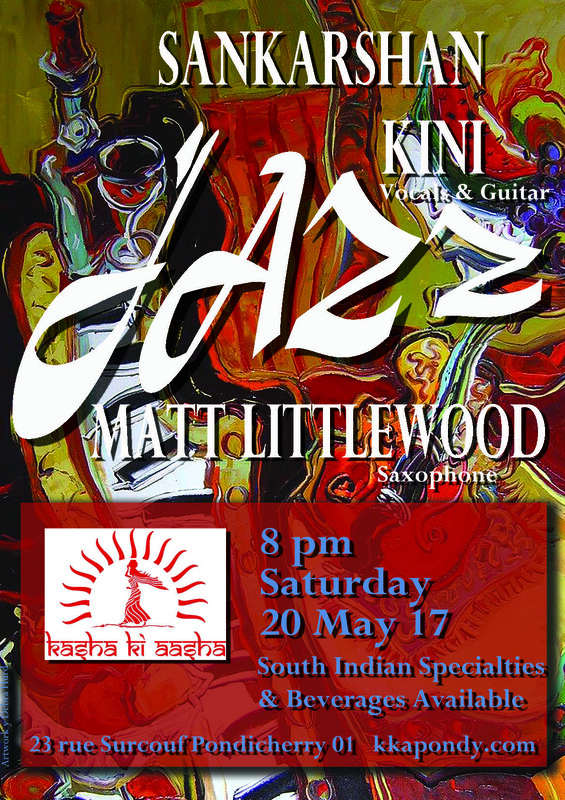 Matt will perform with Sankarshan Kini (India) on the guitar and vocals. Looking forward to seeing you this Saturday at 8 pm for an evening of great jazz, great people and great food!